The girls prep basketball season has started off swimmingly for Iolani and Lily Wahinekapu. The 5-foot-7 sophomore guard averaged 18 points over the weekend and helped the Raiders win all of their three games at the Matsumoto Law Group McKinley Black and Gold Classic over the weekend. 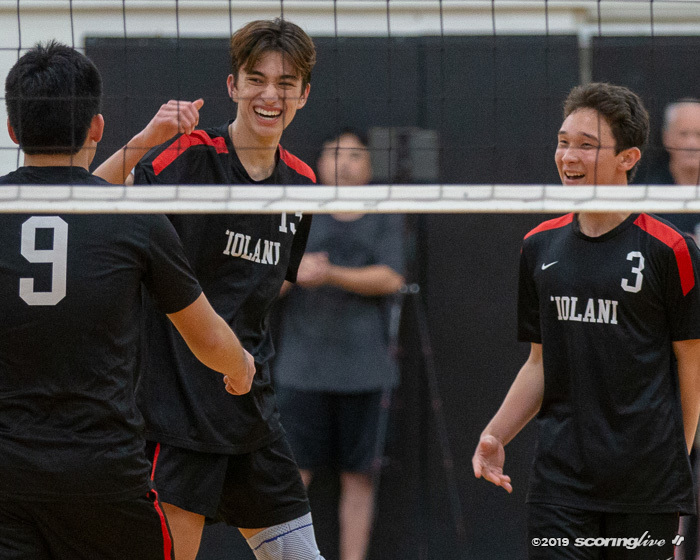 Coming off a runner-up finish in the Interscholastic League of Honolulu and a fifth-place finish at states, Iolani opened up its 2018 campaign with wins over Kahuku, Lahainaluna and Kalani — a trio of state-tournament qualifiers last February. In Thursday's 72-46 win over the Red Raiders, Wahinekapu hit a pair of 3-pointers and finished with nine points, behind Taylor Wu's team-high 25 points and Kyra Tanabe's 15. 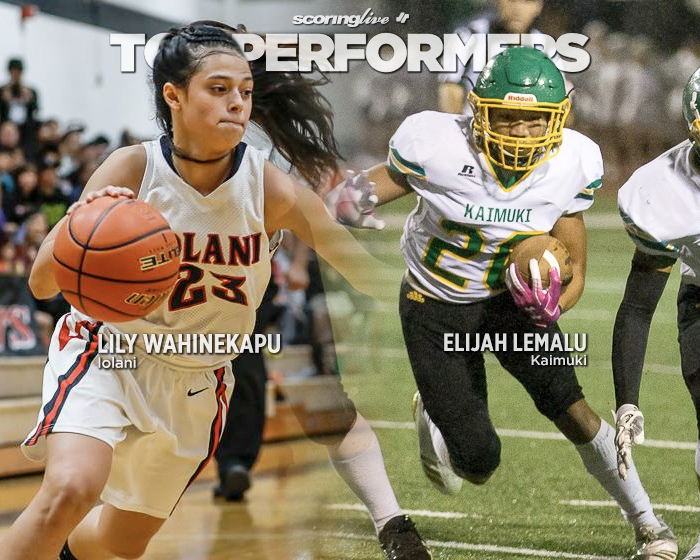 With Wu departing for a recruiting trip after the game, Wahinekapu picked up her production, pouring in 24 points in a 65-51 win over the Lunas Friday night. Wahinekapu closed out the weekend with a 21-point effort in Saturday afternoon's 68-49 victory over the Falcons. "We're really happy with how Lily played, especially when Taylor left on her recruiting trip and wasn't with us for the second and third games of the tournament and that's where you could see Lily really step up and take on that primary scoring role," Raiders coach Dean Young said. "She did an excellent job being aggressive, inside and out, took good shots and she had the ball in her hands at the end of the game a lot." Wahinekapu averaged 11.5 points per game as a freshman starter last year and earned honorable mention All-ILH and All-Hawaii distinction. "You're looking at an athletic girl that is very talented with her shot, as well as her finishes with both hands," Young said. "She's got multiple moves, mid-range, at the rim, she's a good ball handler. She's a good three-point shooter, she hit some big ones but she can also attack the rim well and she's good in transition, so as a scorer she's very versatile." Young noted that Wahinekapu was especially clutch in the second half of Friday's game, when the Raiders were able to build upon a one-point halftime lead and eventually pull away from Lahainaluna. "She played a big role. Every time that Lahainaluna was trying to climb back into it we hit a big shot and usually it was Lily that was hitting that big shot. Of course, she's getting that shot off of the ball movement of her teammates, not so much one on one action, but off of what her teammates can get her," Young said. 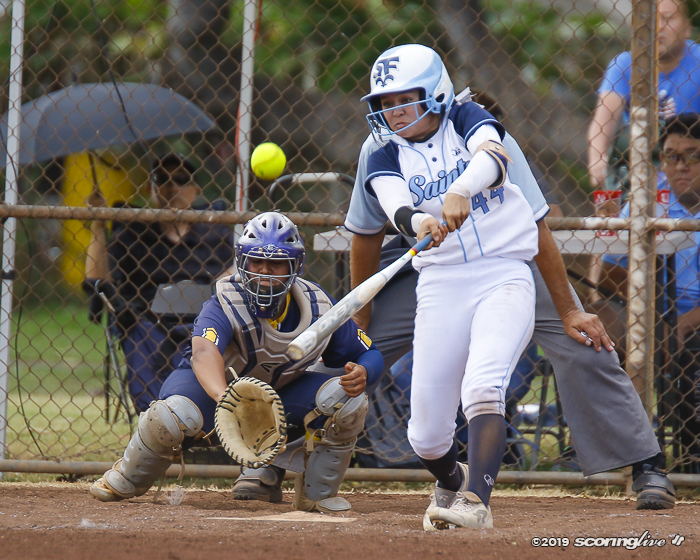 While Young said he expected a bump in production from Wahinekapu this season, it will have to come without All-ILH first teamer Tori Lynn Maeda, who is expected to miss the entire season with an ACL and meniscus injury. 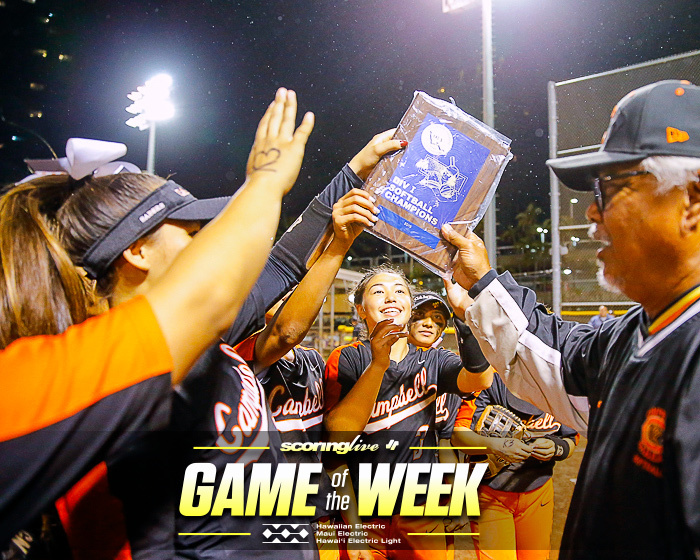 "We got thrown a big curveball in July when Tori Maeda went down. We're not expecting her to return. I think there's always a chance and we can hope, but we have to prepare like she's not going to be able to come back and so we've seen Lily really step up and, you know, it's easy to defer to a four-year varsity senior point guard, but with Tori not on the floor, especially later in the game or in tight situations we've really seen Lily be willing to take on that role, getting those points or shooting those free throws at the end of games," Young said. As a result of Maeda's injury, sophomore Alexis Huntimer — who scored 18 points against Kalani Saturday — has assumed the starting point guard duties, but Wahinekapu will also share that load. "Luckily Alexis is a cross country runner so she has a lot of stamina, but when Alexis is not in the game, then we'd like Lily to run the point," Young said. 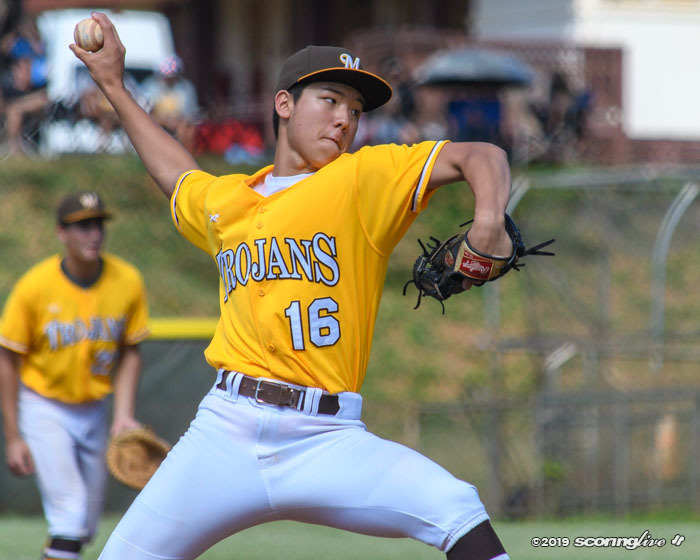 All three games over the weekend were rematches of state tournament contests. 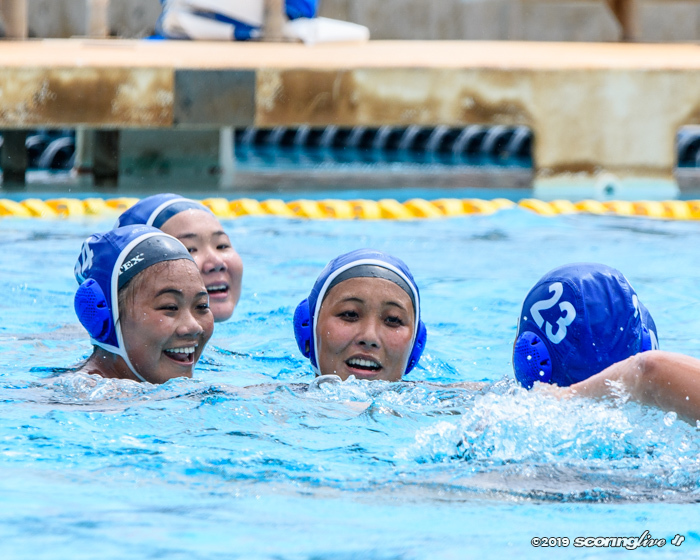 Iolani routed both Kahuku and Kalani, but fell short against Lahainaluna by a bucket. Young is hoping the start to the preseason bodes well for his team this winter. "It was a big boost for us to win those three games," he said. "Knowing that there's life after Tori Maeda and the way that we're going to accomplish it is through hard work and playing as one team — that's the only way we're gonna be able to do it — so to see us playing unselfishly and moving the ball was nice to see and hopefully it's something we can build on because those are three very quality teams that we faced, (but) I expect all three to be much better come January so we need to keep working hard." 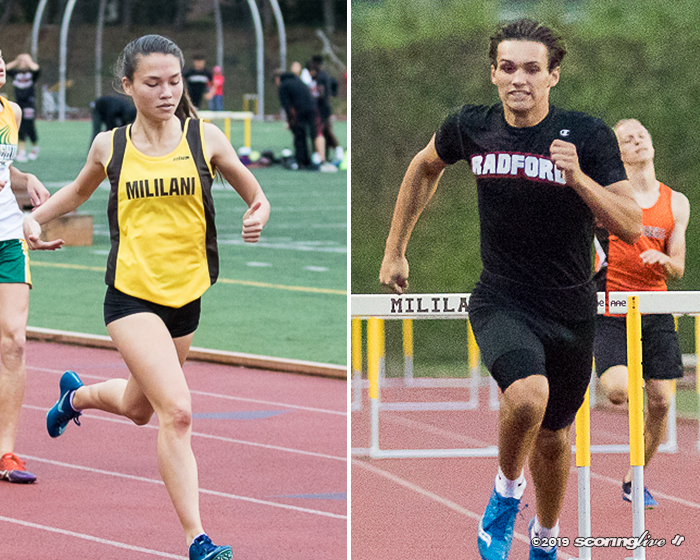 Wahinekapu and the Raiders (3-0) return to action Friday when they visit Mililani, another team coming off a state tournament appearance. Tip off for that game is scheduled for 7:30 p.m.
Elijah Lemalu got it done in all three phases of the game. The 5-foot-8 senior contributed on offense, defense, and special teams to lift Kaimuki to a 28-27 win over Kamehameha-Hawaii to open the First Hawaiian Bank/HHSAA Division II Football State Championships. "He can play every position on the field," Kaimuki coach David Tautofi said of Lemalu. "I got to see what he could do as a freshman in the offseason my first year of coaching and it gave us a good look. He's a brilliant kid and knows how to control his emotions." Lemalu provided an early spark for Kaimuki as he came in untouched off the edge to block a punt that led to Blade Pfeiffer-Kekoa's scoop-and-score as the Bulldogs took an early, 7-0 lead in the first quarter. Tautofi described Lemalu as soft spoken and he lets his playmaking abilities speak louder than words. He has also matured as a leader. "He wants to get the most out of it and understands both sides from where the coaches are coming from since it's his last season," Tautofi said. KS-Hawaii tied the game at 7 then took the lead, 14-7 on a 23-yard touchdown pass from Kaimi Like to Izayah Chartrand-Penera. Jonah Stephens tied the game at 14 in the third quarter on a 1-yard touchdown run to finish a 14-play, 60-yard drive. The Bulldogs would score again in the period with Lemalu finding the end zone. Lemalu took the direct snap and weaved through a jungle of bodies to score on a 17-yard run, giving the Bulldogs their first lead since the first quarter. Lemalu's biggest run of the night came in the fourth quarter where he charged up the middle and was initially stopped by Kilohana Haasenritter, but spun away for a 54-yard run all the way down the the KS-Hawaii 20-yard line. He finished the night with 97 rushing yards on 11 carries. "We didn't put him at running back until the OIA championship game against Roosevelt since we have a lot of depth at running back. But he can hit the holes and turn on the jets. We put him in the right position to succeed and he has a lot to offer and it couldn't have been a better decision for us," Tautofi said. Lemalu's big run helped set up Naomas Asuega-Fualaau's go-ahead touchdown run. On the ensuing PAT try, Lemalu rolled to his left and lobbed a pass to Pfeiffer-Kekoa for a 7-point lead, 28-21. He also plays on defense and recorded five tackles against the Warriors. "He's just a playmaker on defense," Tautofi said. Seeing Lemalu grow from the time he was a freshman until now, Tautofi had nothing but praise. "The younger guys on the team want to be like him and look up to him. A lot of people don't see the struggles and only the results. What he has overcome inspires others and it makes you proud and guys like him. That's what it's all about and it is fulfilling to see how much he has grown."